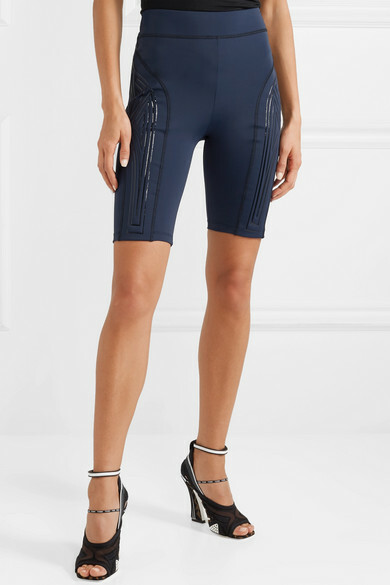 We saw so many versions of Fendi's cycling shorts on the brand's Spring '19 runway, but it was this navy version worn by Bella Hadid that really caught our eye. 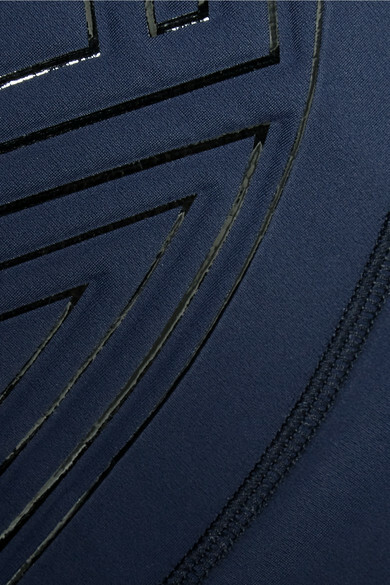 They're cut from close-fitting stretch fabric that's been heat-sealed with the label's logo to create a glossy, 3D effect. For the complete look, team them with this utility shirt and belt. Shown here with: Fendi Sandals, Laura Lombardi Earrings.